Manchester United are already looking ahead to the UEFA Super Cup clash with Real Madrid as they look to build on their 2017 successes, midfielder Ander Herrera has said. Jose Mourinho's side won the Community Shield and EFL Cup before finishing the campaign with a 2-0 win over Ajax in the Europa League final, a result that saw them lift the trophy for the first time and claim a place in next season's Champions League. 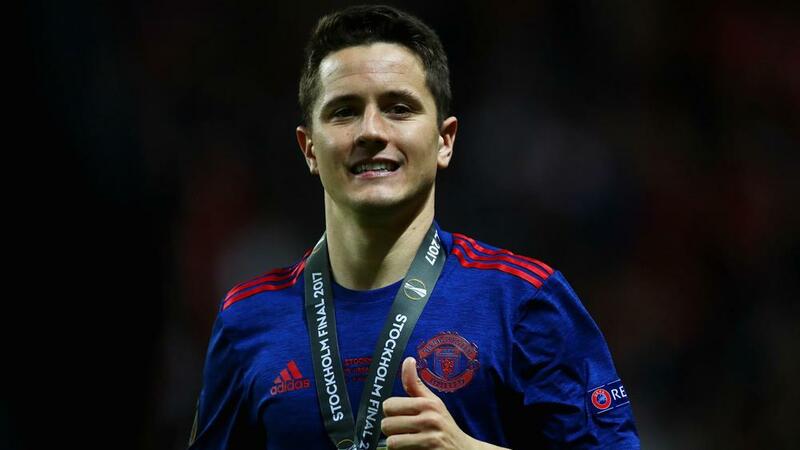 But Herrera has turned his attention to claiming another piece of silverware on August 8, when they take on Champions League winners Madrid in Skopje. "We're already thinking about the European Super Cup," he told Sky Sports. "Football is about trophies, no? About achieving objectives. Now we are going to play Champions League. Three trophies: League Cup, Community Shield and Europa League. "In the beginning of the season we were talking about that. The manager said he was coming to Manchester United to win trophies and he has done it. First season, three trophies." Herrera was named United's player of the year after an impressive campaign under Mourinho, in which he was used in a variety of midfield roles in a total of 50 appearances. "I knew at the beginning of the season that I could be an important player for the team. I had a meeting with him and he told me I was going to be important to him if I got some points and I did it," the Spain international explained. "I know it is difficult to play in a big club like Manchester United as a number 10 because you know how many goals you have to score to play there. So I thought I had to add something to my game. I had to give more options to the manager. We both agreed. "He told me that I was going to play sometimes a different role in the team. He told me sometimes I was going to play more defensive and in other games he was going to need me more forward. I told him I'd play wherever he wanted me to play and I would give my best. "We feel the football in the same way." The 27-year-old's performances have seen him linked with a move to Barcelona, who have appointed his old Athletic Bilbao boss Ernesto Valverde as head coach, but Herrera appears keen to stay in the Premier League. "We all know the Premier League is the most important thing and one of the things we have to improve next season," he said. "We all know we have had too many draws. That is why we are not in the top four. And next season we have to improve in the Premier League, 100 per cent. "This is the best season so far but hopefully I can have better seasons because I don't want to stop. I'm going to keep playing and keep improving and keep making our fans proud. I want to continue adding things to my game, to my style. "And I will do it."